A snapshot resonating warmth and mirth of such a jocund company that it leaves our hearts sublime! Too much has been written about friendship and yet its not humans but dogs where the face of friendship gleams in full glory. From Graham Vest’s epic speech on why dogs are a man’s friend? to the loyalty of dogs who defied death. The face of friendship, to me, has always been a dog. 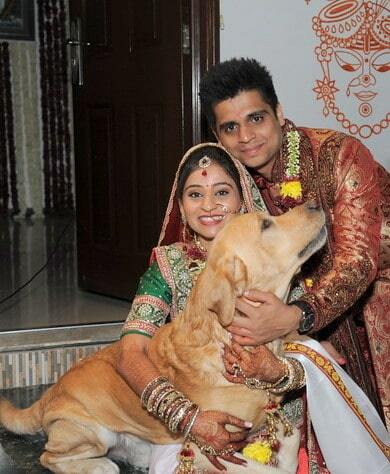 As the pretty girl turns a gorgeous bride, she shares this beautiful picture exclusively with Dog with Blog readers. 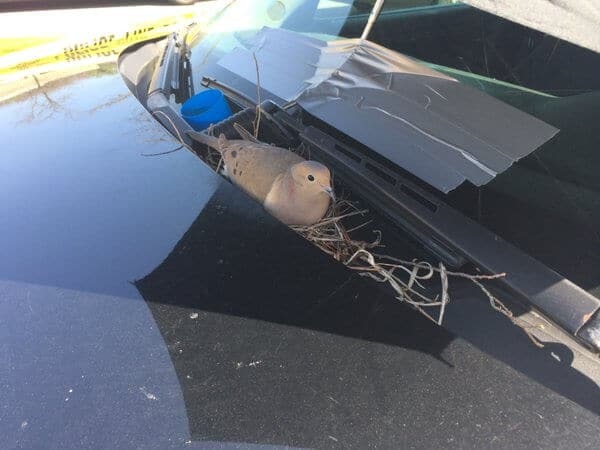 In another heartwarming news from the west, a dove had made a nest on the hood of a police car and the Parma Police Department not only shielded it from the sun and rain but also got her food and built a police barrier for them! For more pictures of the canine chumminess, visit us on facebook. Such an amazing picture. Makes me crave more and more for a doggie friend. Thanks Deboshree! 🙂 Here’s hoping that you get one soon! Heyy Calvy, u changed ur blog look!!! 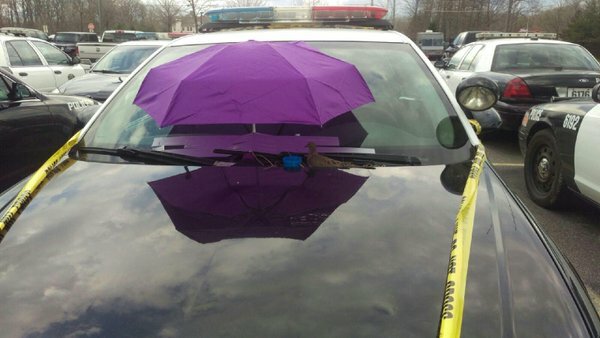 That’s good. Like this one too. Previous Previous post: The top 20 Dilbert strips featuring Dogbert!